​We all need a roof over our heads because the shelter is one of our basic needs along with a smorgasbord of food and water to survive. Roofs protect us from high winds, hammering rains, and the scorching heat of the sun, terrible tornadoes, raging hurricanes and the fury of snowstorms. ​In short, roofs can save our lives if we were to understand their function concerning natural disasters and weather conditions. ​Our Kingdom roofing experts understand the essence of having a roof for protection. However, even with proper roof maintenance, there will be times wherein roof repairs for all people like Sacramento California residents would be needed. Sometimes, though, the environment is not to be blamed for roof damages. It is possible that roof concerns can be a result of hasty quality. When the original home contractors rush through a job, roofs that appear beautiful on the outside can be hiding reduced functionality. After exposure of roof to a few weeks of wear and tear, such cutting corners would become apparent. Knowing all of these risks, we offer high quality roof repairs. We deliver incredible quality for our roofing repair services. But unlike other companies, we offer amazingly affordable roof repair for new and existing Kingdom customers! We know how the economy is and how expensive things are these days, so we feel that it is our social responsibility to give you our best without hurting your wallet. We guarantee you then that overcharging is not our thing! So if you need any roof repair, we are Sacramento, California’s best option! 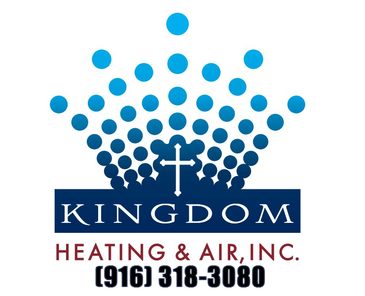 Call Kingdom for A FREE consultation !